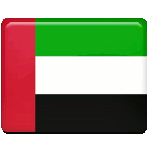 National Day in the United Arab Emirates is celebrated on December 2. It commemorates the formal nationalization of the UAE from the British Protectorate in 1971. The territory of the present-day UAE became a British protectorate in 1892, when the British government signed agreements with the Trucial States (a group of sheikhdoms in the south eastern Persian Gulf). In 1952, the seven sheikhs of the emirates formed the Trucial States Council to coordinate matters between them and took over the development office created by the British. By 1966, it became clear that Britain could no longer protect and administer the territory of the emirates. On December 1, 1971, the treaty between the UK and the Trucial States expired. The following day, the United Arab Emirates was formed. The anniversary of this event was declared the National Day of the UAE. The main national holiday in the UAE is marked with numerous celebratory events held across the country, including (but not limited to) dance shows, car rallies, air shows, military processions, exhibitions, heritage villages, light shows, firework displays, etc. National Day is typically a two-day holiday, but workers in the public sector may get a longer holiday.